This is your Thirteenth stop on a wonderfully Wicked Blog Hop! · Second prize is a $50 Shopping spree with Gecko Galz. · Third prize is a $25 shopping spree! · And our Grand Prize ONE FULL YEAR of Gecko Galz PRODUCTS!!! This includes the 6 new collage sheets each quarter, a new stamp set each quarter, a new paper pack each quarter! This is a $100 value! First of all, you will need to visit all 16 blogs and leave a comment on each blog :) **This is important so we know you have been to all the blogs **. Collect the phrase at the end of the hop on the Fripperies and Butterflies site there will be a link to email the phrase to Gecko Galz. 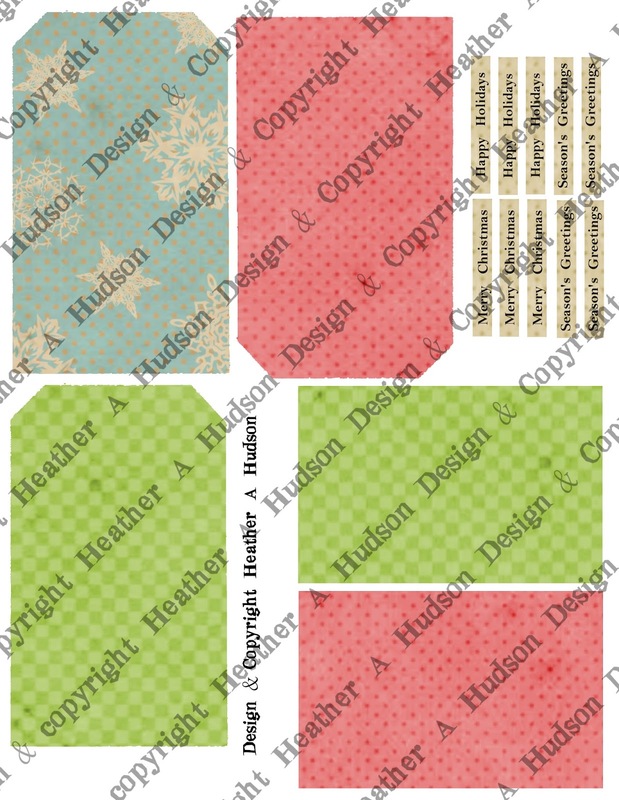 Here are a few tags that I created using the images from this sheet. I had fun playing with the images digitally! 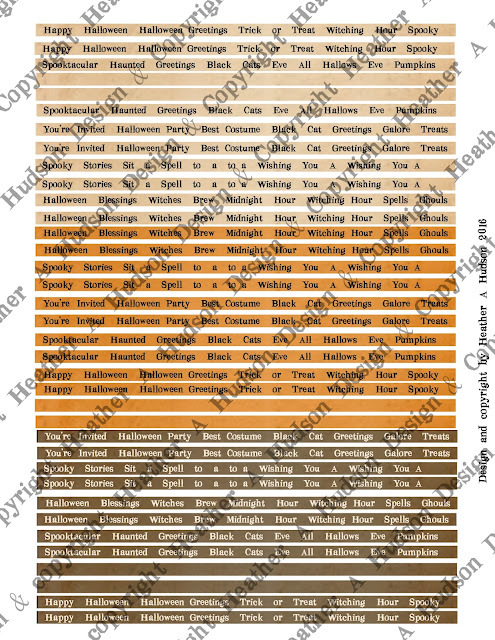 Hope you have fun creating with this sheet! 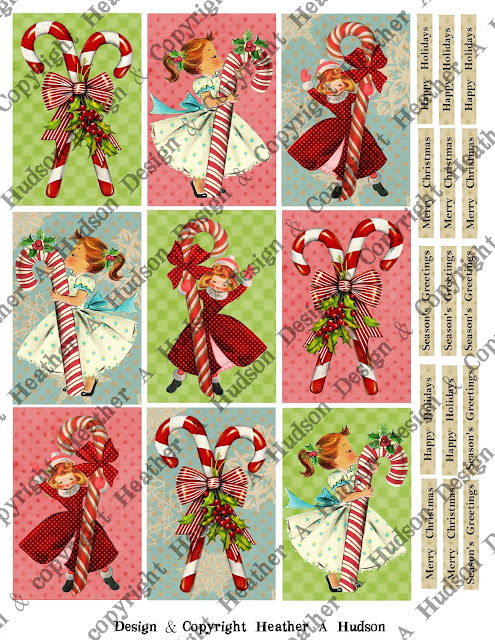 I changed the color of the hats, candycanes and the little kitties bows. 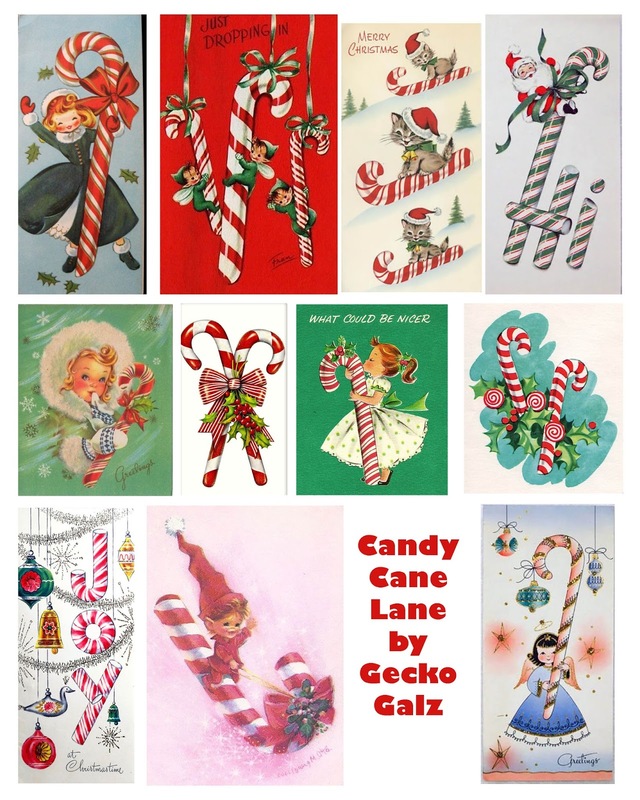 On the one below I just got rid of the background and fixed the one candy cane on the left. I loved this image. I added a corner to the bottom left of the coat, changed the colors of the coat, candy cane, mittens, dress, got rid of the background and even added a hat. I flipped this one, changed the candy cane color, the bow and dots on the dress and removed the background. 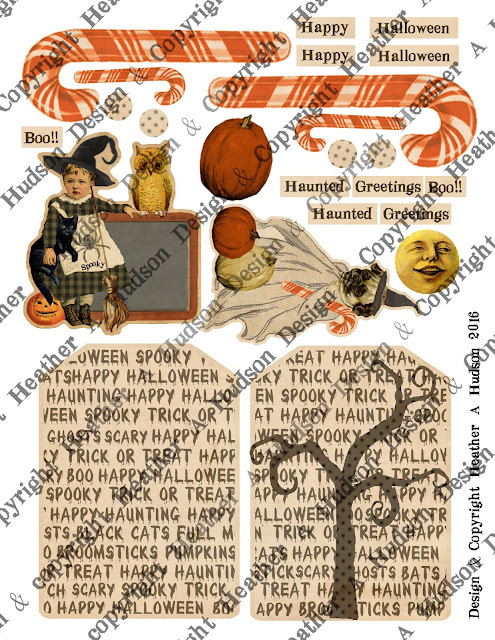 Here is a Digital collage sheet that I designed with some of the images that I altered. You can find it in my etsy shop here. If you did not start at the Gecko Galz Blog you might want to start there so you will not miss a thing! I spent mine with my two sons, and our Boy Scout Troop. I am not sure if I have mentioned it...but the reason I have been not creating the past two years is because I took on a more active role as an Assistant Scout Master with my sons' Boy Scout Troop. Our troop spent the weekend with some other troops hosting cubscouts. We taught knots. Here is my oldest, he was the firebowl MC and spent the day showing cubs how to tie knots and keeping watch of them crossing the rope bridge that our troop puts up. This one cub, was playing around and insisted he wanted to get up himself...they are so cute and full of energy! Usually they walk across no problems...it is when they decide to get fancy...lol...but all goes well. Korea, and Zimbabwe. They spent one week in our homes and the next we camped together. One of the things we learned from the Zimbabwe Scouts were how to make these yummy little donuts. My youner son spent the day showing the parents and cubs how to make the donuts. It was a TON of them! He is on the right with the dutch oven and my friend Stacy is in front. Here he is again teaching the cubs how to take care of the ends of cording (fusing)...that they were practicing knots with. It was a super fun weekend! I have created another tag using my New Halloween Tag Digital Collage Sheet set which you can find in my Etsy here. You can see the First Tag and Tutorial in my Blog Post here. Here is a close up below. All my glitters are from Art Glitter and the Ribbons, Trims, and pop dots are from Really Reasonable Ribbon. You can see how to create this tag in my Youtube Video below. I will be playing along with the following challenges. I hope you are all having a great day! I had a little bit of time to play today...and was blessed to find some of my embellishments and glitters. 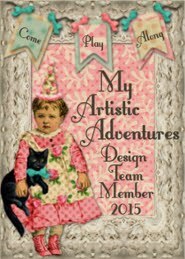 I used one of my new Digital Collage Sheets to create this tag as well as embellishments from Really Reasonable Ribbon, and Art Glitters. I used a Deep Ivory Rose, Orange Leaves, Orange Micro Gingham, Brown Sugar Baker's Twine, Champagne Organza, as well as Rosemary Vintage lace all from Bonnie's store Really Reasonable Ribbon. I used Fauna, pumpkin, solaria, and lion's mane Art Glitters, with the Designer Dries Clear Glue and fine tip applicator. You can watch my tutorial on how to create this tag below. Here is the Collage Sheet Set I used. 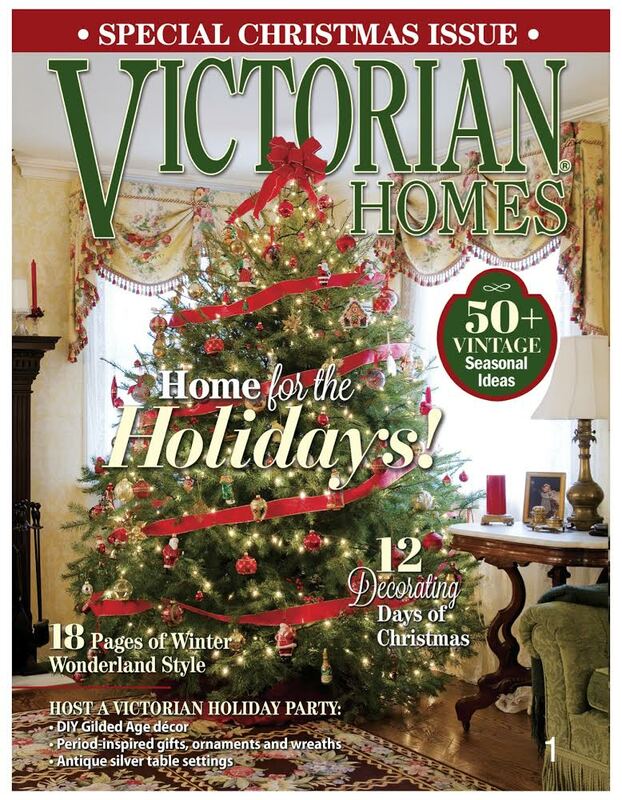 I know I sent images to the Design Team there...but I didn't realize it was today :0) Since I have not been creating lately...so...how cool is that?? Today I have a bit of Vintagey Summer Roses, Polka Dots and Writing to share with you. 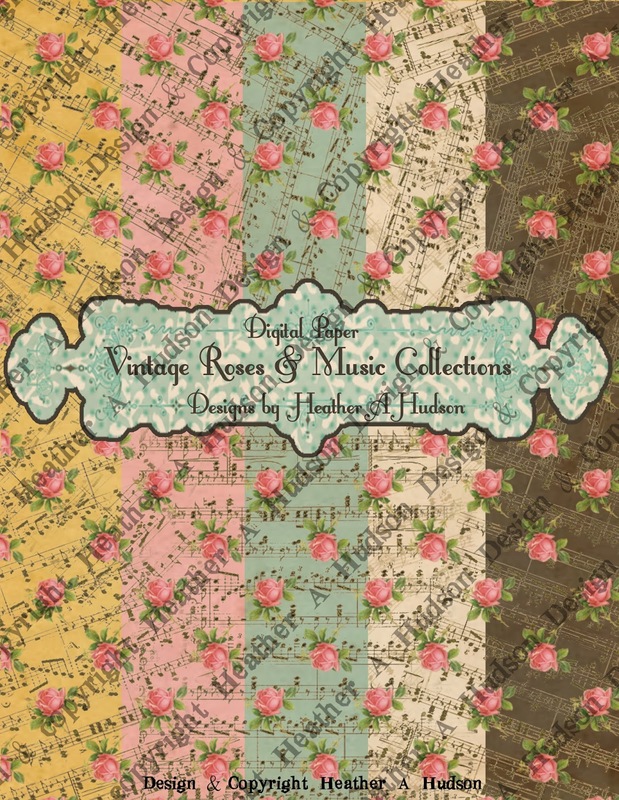 This Summery Roses with Polka dots and Vintage Writing Digital Paper sets will coordinate with many of my other Digital Paper Collections. 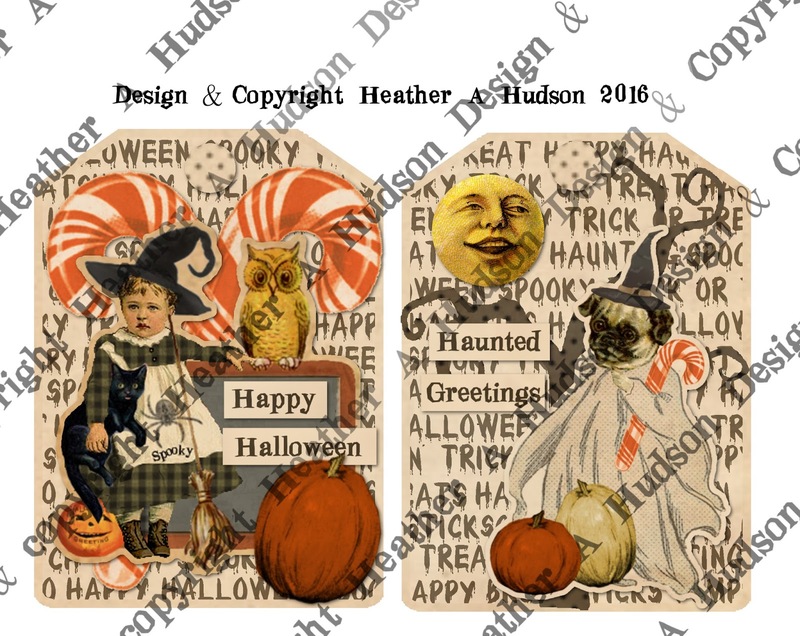 I just finished them both and uploaded the Writing papers to my Etsy here. 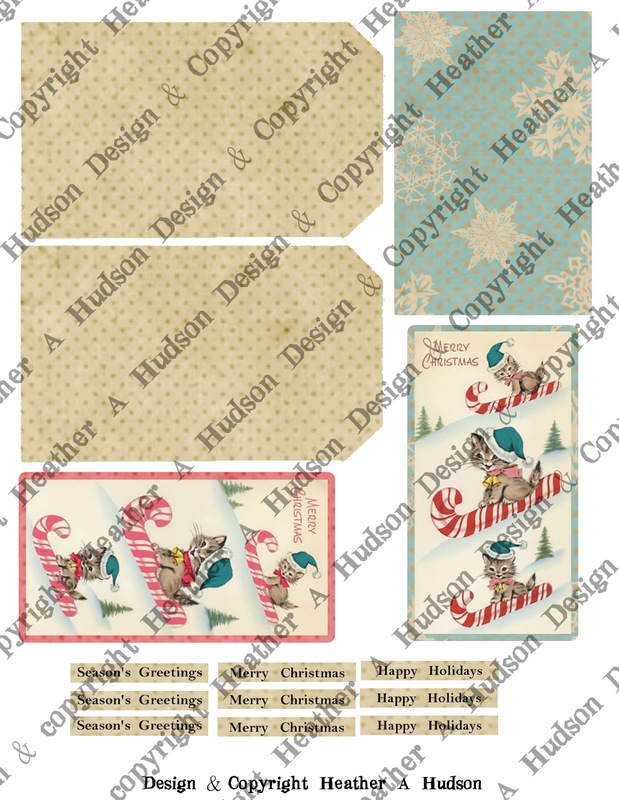 Below is a set of papers that I designed using a Rose that I digitally painted. You can find this Collection in my Etsy shop here! Below are some photos of a project that I designed using these papers. I did go back in and tweak my papers a bit...but the colors are the same. I just LOVE LOVE LOVE the colors of these papers!! I hope you will love them too!! Tomorrow I will have another Rose Digital Paper Set...as well as a Coordinating Paper set! Today I have a bit of Vintagey Summer Romance to share with you. 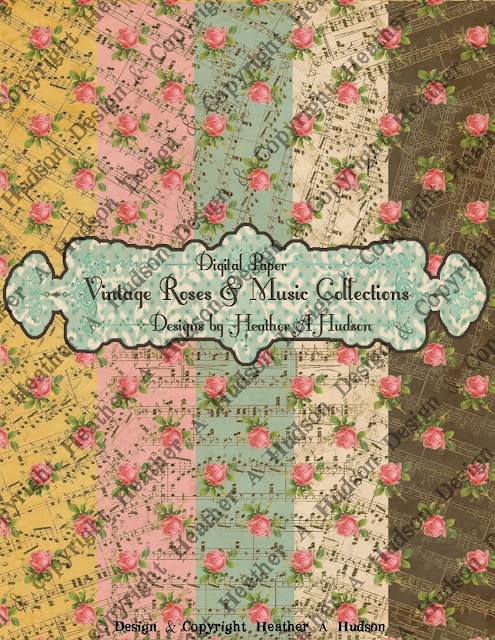 This Romantic Roses with Sheet Music Digital Paper set has been a while in the making...and I finally sat down and finished it and uploaded it to my Etsy shop here! 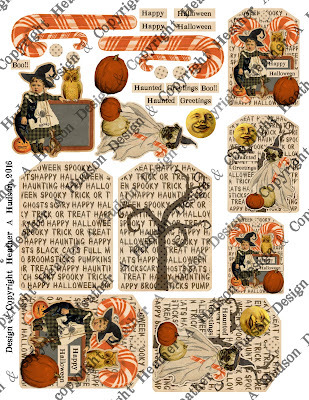 Vintage inspired Halloween Tags Digital Collage sheet! You can find this sheet in my Etsy shop here. Unfortunately all I seem to have time for lately is digital work...but I do hope to do some tangible creating soon! 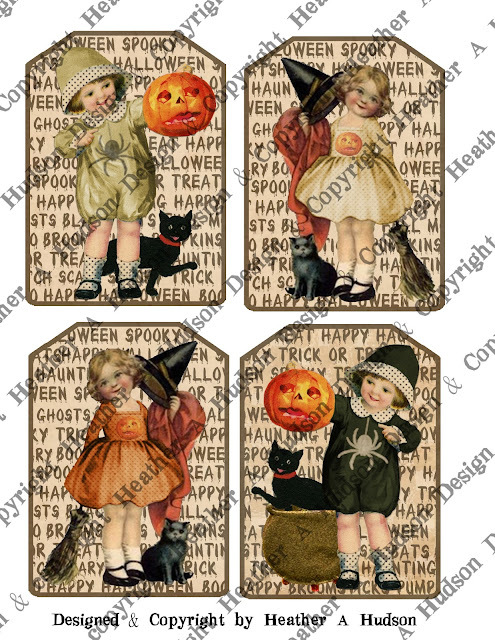 I hope you are having a Spooktacular Day!! 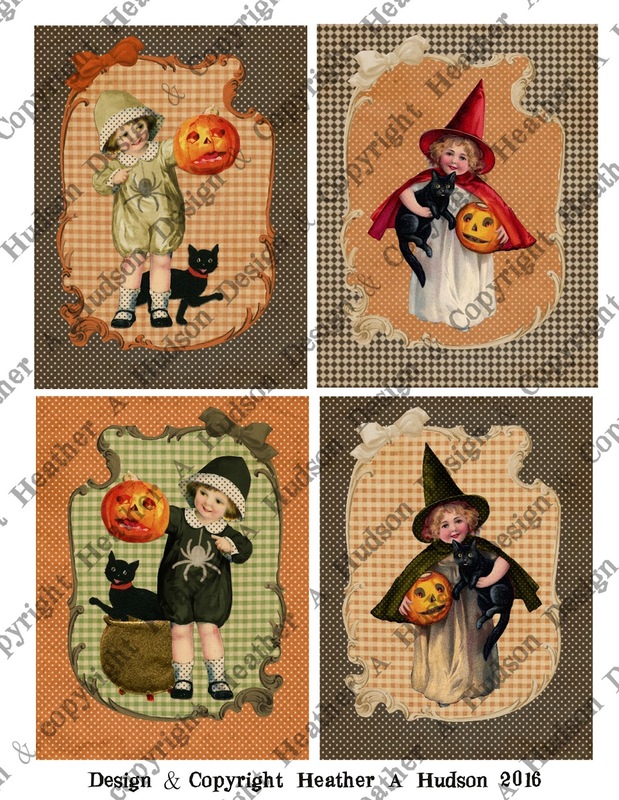 Today I have a new vintage card front inspired Halloween Digital Collage sheet I designed I would like to share with you. I just love how this sheet turned out!! 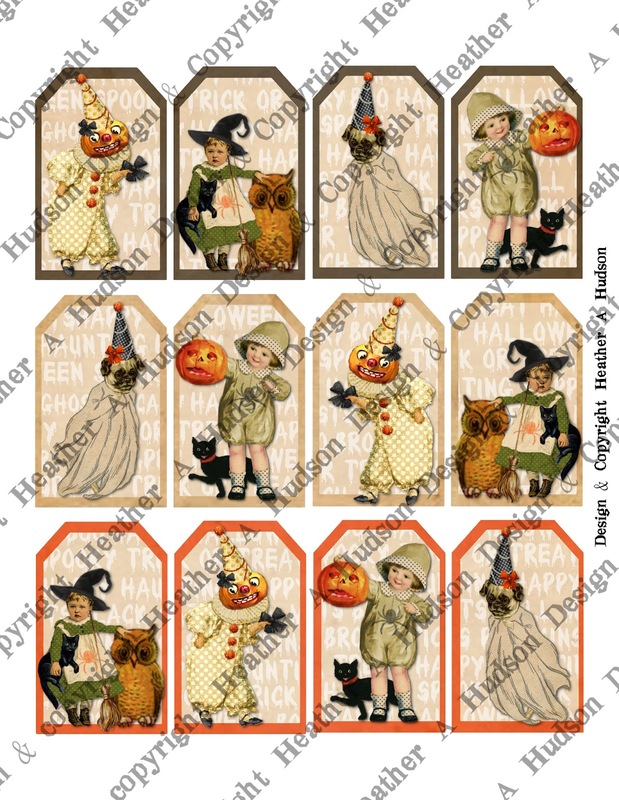 that will match all of my Vintage Inspired Halloween Digital collage sheets. You can find the above collection in my Etsy shop here. I have another super cute and vintage style Halloween Digital Collage Sheet that I designed. This time I decided to do a set of more traditional tags. I decided to alter another vintage Halloween image to create a new Vintage Halloween Character to my collection. You can see the before images below. Here is the sheet I designed below, you can find the two sheet set in my Etsy shop here. 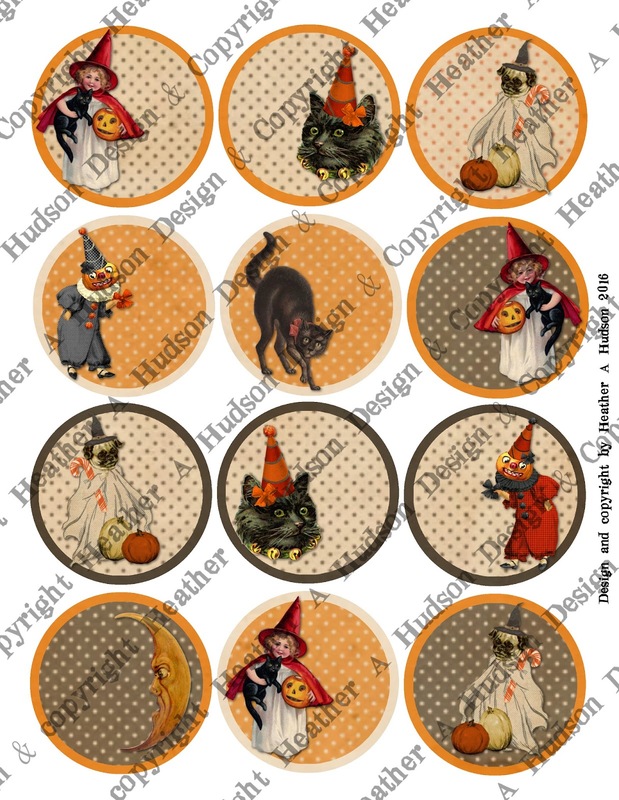 I decided to go ahead and add the same Halloween Words and Text boxes to this set that I designed for my circles. Hopefully I will find some time to actually play with these sheets! 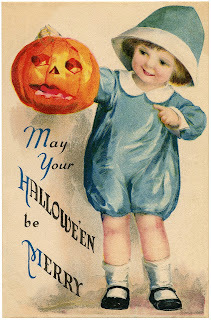 Hope you have a Spooky day!! Today I would like to share with you another Vintage Style Halloween Digital Collage Sheet set that I designed. Halloween section of my Etsy Shop for $6 here. 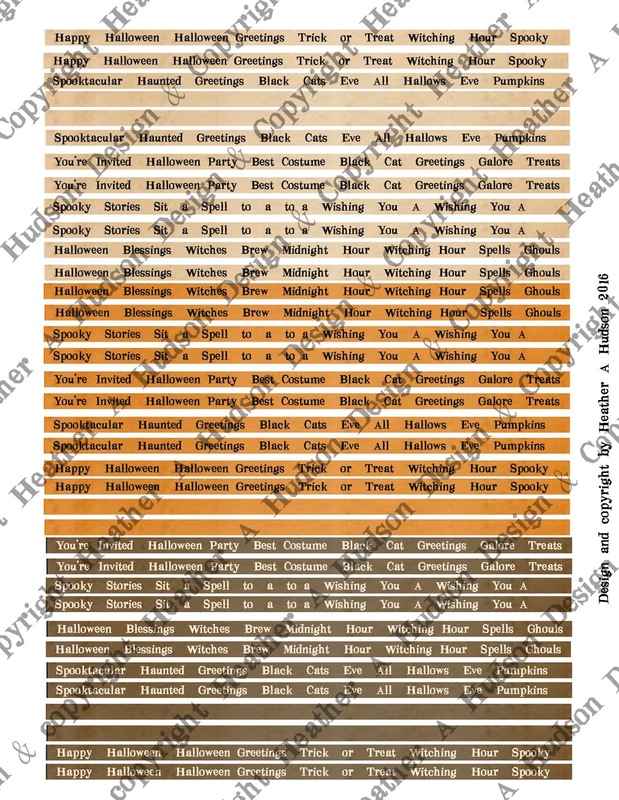 I created a Sheet of Halloween words and phrases in tiny text boxes that can be cut out and placed on the focal above...or incorporated into projects other ways. I have included two lines of each color background in case you would like to write your own saying, or stamp something...but you would like the colors to match. It has been a really, really, .....really long time since I have done a blog post. I have been super busy doing things with my family. I will save what I have been doing with my family for another post. You can purchase my Digital Halloween Collage Sheet in my Etsy here. Although I had time to create the sheets, I didn't have time to actually print it out and create the tags. I have also been on a huge...HUGE...get rid of things kick. 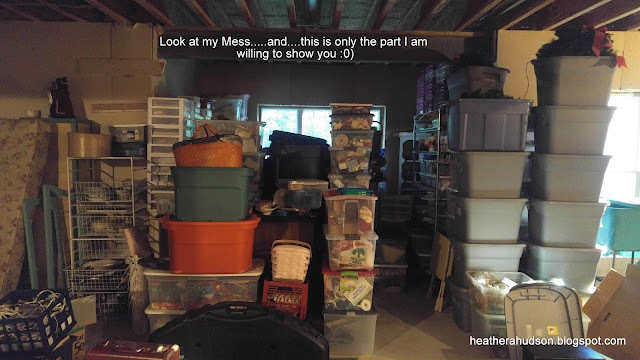 So a lot of my artsy goodies are in the basement in containers....while I try to clean the rest of the space so I can talk the hubby into finishing the basement. Here is a peek of my stuff....lol. So....since I can't get to my paper goodies...If you take a look at the image below, you can see how I was thinking of working my tags. Many layers of course...cutting out and inking all the edges of course. If I get some time...I will see if I can print them, cut and ink...and put them together. Hope your October is off to a great start!